I might shock few readers but there is no better chicken stock then one made with chicken feet. Yes, the feet, not foot-less legs or any other part. 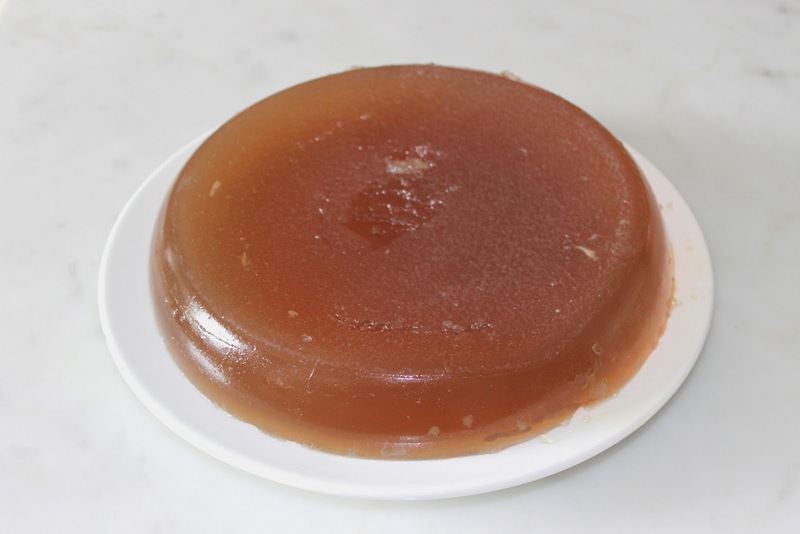 If done right, the stock is super rich with incredible mouth feel and so gelatinous that after cooling it will have a consistency of cold aspic. 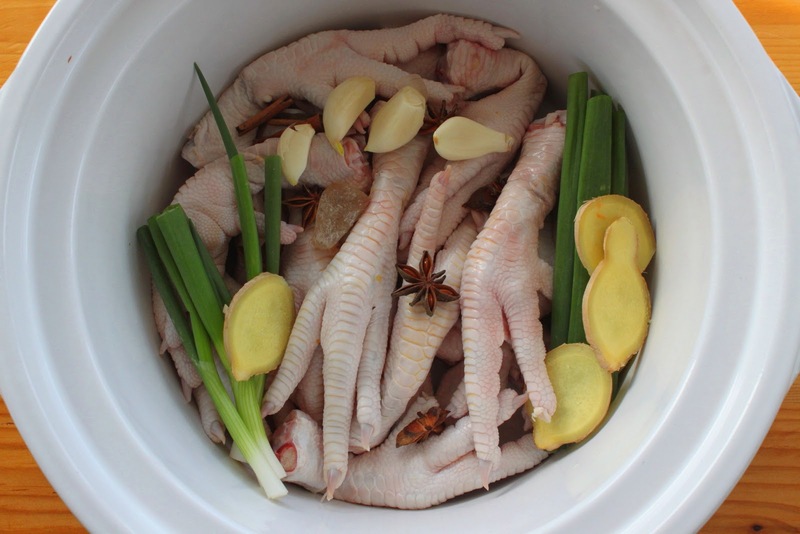 Chicken Feet Stock at room temperature. The secret to very clear stock is always to blanch the meat for couple minutes, drain and wash the meat under running hot water to remove rest of the scum and fat and only then put it in stock pot and simmer on low heat for hours. Never let the stock boil or the fat in stock will emulsify and will be cloudy with an off taste. 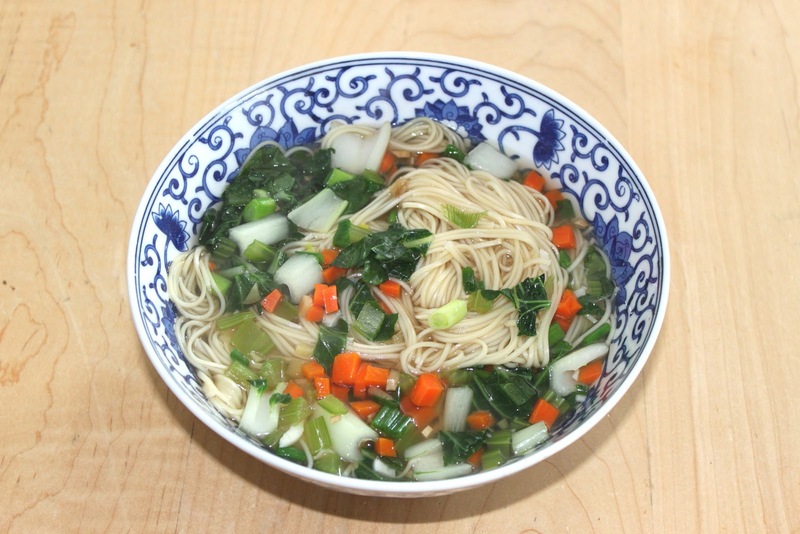 Since I was making Chinese stock I used just green onions, ginger and garlic and for aromatics I used little bit of soy sauce, star of anise and cassia bark. Since I used slow cooker it was completely trouble free. Six hours on low and I had incredible stock.